Professionals use the term “layers of light” to describe combining different types of lighting together. Creating the right ambiance is critical to your interior design and it improves functionality. Not having enough light will make it difficult to perform specific tasks and if the light is too bright, it can make the space feel very uncomfortable. While there are different types of lighting available, you won’t find any one type that is perfect for every space. For this reason, professionals use layered lighting to enhance your interior space and to provide you with a variety of options to perform different tasks. No interior design is complete until you install proper lighting but it can be difficult to determine what you need. This is why it’s so important to go over how you plan to use the space with your interior designer in Miami, before you shop for light fixtures. To ensure you have appropriate lighting throughout your home or office, you need to combine the different types together. However, you need to understand what the purpose of each type of lighting is and how they work together in order to create the best combination. Each type of lighting includes a wide variety of styles, shapes and sizes but each one is designed to perform its specific function. For example, lamps and track lighting are types of task lighting and ceiling and fan light fixtures are the most common types of ambient lighting. Decorative lighting refers to light fixtures designed to be the main focal point in the room and all three types of lighting can be decorative. Selecting the right type of lighting is part of the services we provide here at J. 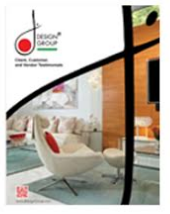 Design Group and we can help ensure you make the best choices for your interior space. To help you understand how layered lighting works here are a few tips. Ambient lighting is your first layer and it should radiate light throughout the entire room. However, it should not be so bright that it makes you feel as though you’re under a spotlight. If you’re lighting a large area, you’ll need several light fixtures strategically placed throughout the ceiling to create the right ambiance. Use accent lighting for the second layer. Since the goal here is to highlight certain features within the room, it should be brighter than the ambient lighting or you can use different color LED lighting. The task lighting is the third layer. Consider the task for which the light is needed and place the fixture above the area where the activity will be performed. Combining these different types of lights together will give you quality lighting throughout your interior space for all occasions. It will increase functionality by providing light where and when you need it.